If travel is your passion, if you wish to explore each and every corner of your world, the time is NOW. It is now you can change your priorities; it is now you can go for, what you have only thought of once. It is not the first time I am visiting Udaipur but this time I am here to explore more of it and to gather more knowledge about it. I and Nitin, with our family are on road trip to Rajasthan and this post is all about our journey till Udaipur, after covering all of the Jaipur (Click here to know more about Jaipur). Desert is the only word which comes to my mind when I think of Rajasthan, But Udaipur proves it wrong. Udaipur is famously known as Lake city of Rajasthan. Heading from Jaipur to Udaipur (also visiting Pushkar in between) is a straight expressway. Ajmer Lake is a lake which came across our way from Jaipur to Ajmer. It was quite hot at the time when we reached here. That was a time when once we decided not to get down from our car and move ahead to Pushkar. But our passion and love for nature didn’t let this happen. We also found fruit vendors near to the lake area, but they were very costly, almost double the rate as in Delhi. No Entry ticket and no parking problem to visit this lake. Pushkar Sarovar Heading to Pushkar via Ajmer is unexpectedly a very beautiful view. Pushkar in itself provided a fantabulous entrance for visitors. My personal recommendation is not to miss this view of Pushkar. It was all a mountainous region around, with a smooth road in between. We were able to reach Pushkar with the help of Google Maps, very easily. There we hired a guide for Rs. 50 to help us explain about this Sarovar. As guide told us, Pushkar is the name of Brahma Water on which the name of city is kept. It is one of the most sacred places in India and devotees dip in this water for several benefits. Guide after explaining us about 'Pushkar Sarovar' and its story, asked us to buy veneration plate costing Rs. 10 per couple. This plate was required for worship to be done at Pushkar Sarovar for which he appointed one priest per couple. After done with the worship, we offered an amount of Rs. 50 to the priest as a token of respect. Buying veneration plate for worship is not at all necessary to be done; it is all about your belief, what you wish to go for. Brahma Temple is situated near to the Pushkar Sarovar in the range of 1 km. Parking place will remain the same, and we didn’t require to carry our car to visit temple. Brahma Temple closing time in afternoon is from 1:30 PM to 3:00 PM. We reached Pushkar at around 1.45 PM, when the temple was closed. So guide advised us to visit ‘Pushkar Sarovar’ first. After done with Pushkar Sarovar we went to visit this temple. ‘Brahma Temple’ in Pushkar is the only temple of Brahma all around Asia. In between Pushkar Sarovar and Brahma Temple, in the range of 1 km, there is a small market for Jaipuri stuffs like handicrafts, shoes, skirts, jackets, handmade table cloth, and many more items. I was quite pleased with the market. I bought a beautiful handmade ‘Ganesha’ sculpture from there. We didn’t plan to stay overnight in Pushkar and moved our car to our next destination in Udaipur, city of Lake. After done with Pushkar excursion and 4 PM afternoon, we were all hungry. We started looking for a decent place to lunch at. In Pushkar at Ajmer Highway we found one restaurant named ‘7 Spices’. No doubt it was a decent place but at such late afternoon they were not available with all the things to serve. They provided us with two of the cooked vegetables and Chapatis. With a decent food and serving, their noodles ruin all the fun. Either they were in hurry or they didn’t know its spices, but it was not at all worth eating. Also not to forget to mention that after Pushkar, there is a single road highway till 100 Kilometers of run. Though the road was smooth but single road highway was somehow not amusing and was cause of our reduced speed. It was getting difficult for Nitin to drive on this single road highway at night, because of reduced visibility caused by the beams of vehicles coming from opposite direction. One suggestion for the self drivers there while following google maps, not to follow short routes shown by google. This is so because the shorter routes are too congested to move around in the city in your own car. Keep following the main-road routes. The roads of Udaipur of last 100 Km are very nice and we have reached Udaipur at night 10 'o' Clock. At first look of hotel Dayal from outside, it was a very thin building. We were amazed to see it and were like “No, It is not the same we looked in the images online! !” haha. We went inside and found it to be luxurious and spacious too. We were relaxed. Rooms are also nice with all the necessities available. Though I found its bathroom quite small but a low budget hotel providing us with almost all comforts scored all. I feel breakfast quantity can be improved though. It provided us very limited options and limited quantity too, still whatever was there was good. After breakfast at Hotel Dayal we were ready to move forward to our next destined stay at ‘Aravali Tent Resort’ (for booking click here). Heard a lot about Tent stay in Udaipur, we also wanted to experience one. Going by the reviews and rating provided online we opted for Aravali Tent Resort. It is a worth stay in this tent resort. Lots and lots of plant and trees are surrounded by the place makes you feel like you are staying inside natural beauty. Cleanliness was also properly taken care of. Though we found one of our rooms smelly as we entered but that was because the tents were closed and covered for long, which was corrected in few minutes. Rooms were also quite big with all the basic necessities. The resort is located in a secluded place which is also a plus point. They also provide you the facility to bonfire at night. One tree house is also present inside where we enjoyed playing cards in the evening. City Palace in Udaipur that belongs to ‘Maharana Pratap’ is indeed very beautiful. Well maintained architecture is filled with beautiful history too. It was a very luxurious and heavenly feeling visiting this palace. Visit this palace only if you don’t mind walking much, because it is really very big. We all have huge interest in history, the stories of king and their lives, how they lived in such big palaces, and this is the reason we could not stop ourselves from visiting it. I am so feeling proud of our ancient architectures who had built such great palaces and buildings at that time too. A good thing about the palaces in Rajasthan is that the pictures and names of the builders of palaces are also displayed on its walls. Entry tickets to be taken from just outside the palace costing Rs. 250 per person is worth visiting. Camera tickets will be charged separately. Entry to this palace will take you from very narrow roads but do not get panic with this, because city palace provides you with wide space even to park your car inside with parking charges of Rs. 150 per vehicle. Public Transport is also allowed to drop you just outside the gate of palace. Pichola Lake is the lake along with City Palace again. City palace is surrounded by market on one side and Pichola Lake on the other side. 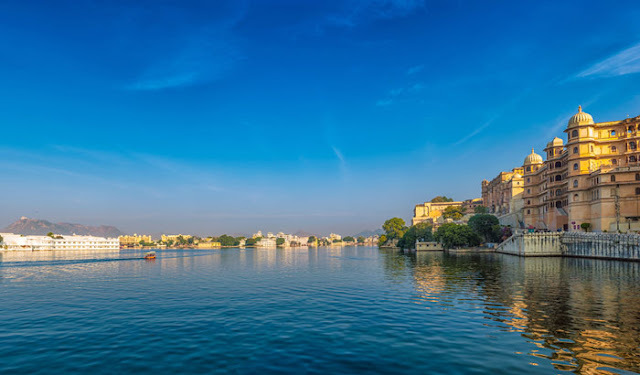 Consisting of two islands, one called as Jag Niwas (a resort) and second is the ‘Jag Mandir’ (consisting of few restaurants, temple and a place to be chilled out at), this Lake proves itself to be one of the most soothing places to visit in Udaipur. It provides us with the heavenly view of City Palace and the sunset view amidst Aravalli Range. Pichola Lake also offers you a boat ride (of course you need to spend few pennies for it), which takes your around both the islands. It means you can have a close glance of Jag Niwas by any of the two ways; either you are the guest of Jag Niwas (the most romantic resort in India) or via this Boat ride. You can stay as long as you like on Jag Mandir Island. Return boat is available at your disposal every hour from this lake. Pichola Lake timings start from 10 AM till 6 PM. Journey on this lake is though very costly around Rs. 750 per person in the evening. Cost is less for morning than afternoon but, evening ride also providing you the sunset view is worth watching. Boat ride tickets are also available with city Palace entry tickets, where you can board the boat from ‘Badi pal’ at the end of City Palace. Best time to visit the lake is early morning or late evening otherwise the hot weather is going to diminish all your enjoyment. With all the good things, it is really an awkward feeling mentioning that this lake does need some cleanliness. Also the boat ride which asks us to wear the orange and red colored life jacket is not so clean. 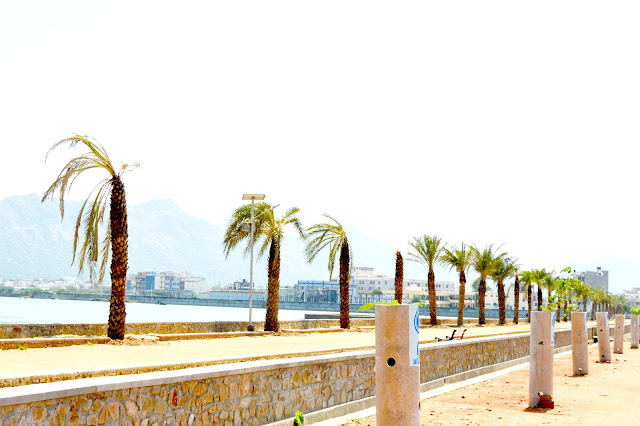 Fateh Sagar Lake is again one of the most popular lake and much cleaner than Pichola lake. There is an island park known as Nehru Park, located in between this lake, which can be reached using the boat ride. This park offers you with a romantic view and a good time spent with your loved ones. It really felt soothing visiting this area. Lake Visit charges you nothing but a boat ride to visit Nehru Park does charge you with Rs. 30 per person. You can stay at the park as long as you wish to, because the return boat ride is available at your disposal every 20 minutes from there. There is a photo shoot shop located on the Nehru Park where you can get your picture captured in traditional dress. One or two magician’s boys are also there to add an element of enjoyment. We were quite impressed by one of the magician boy and asked him to show his talent. We offered him Rs. 50 for his work. Private speed boat ride is also available there as another fun activity. A driver will accompany you to help you out driving the speed boat. So it is another safe and fun activity. Camel riding is also available at the bank of the lake. Lots of fast food options are available at the bank of the lake like corns, maggi, tea, snacks, pav bhaji and many more. This is the best option to hangout in evening for many of the youngsters. 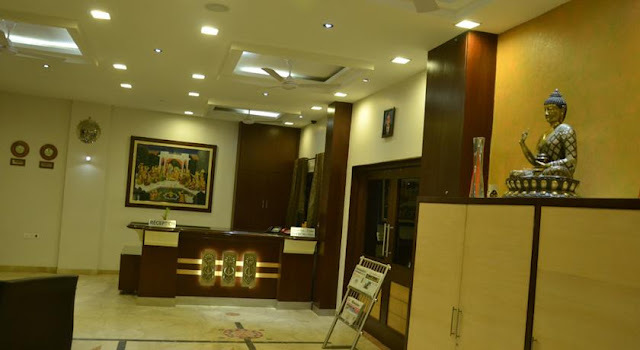 Natraj provides you an option of multi cuisine restaurant and also a traditional platter system(both Rajasthani and Gujrati). For each type, they have a set up on different floors. It is famous for its traditional platter, but as we already had lots of platter in last two days, we decided to go for multi cuisine restaurant here. Ground floor is a Natraj sweet shop. It is located nearby Udaipur Railway Station. Its closing time in afternoon is 3:30 PM. As per my experience, the food here is good but not up to the expectation. In short I would say that it is an overhyped place. There are much better options available for you. It is a good place to dine at, if you are short of time. Food expenditure here is approximately Rs. 300/- Per Thali. Ambrai is the best place to visit during night to provide you with best of view and fill you with romanticism. Lake (Pichola Lake) side table and the candle light dinner is among one of the unforgettable memories I have in my travel books. All thanks to the ambiance and the service that enhanced the pleasure of its visit. The price is little costlier but that is worth the peaceful visit of this restaurant. Parking is not a problem at this hotel, lots of space is available outside this hotel. Not to forget that pre booking is required to be done at this hotel otherwise seating problem can ruin your entire mood. Ambrai in Udaipur is a must to be experienced in my view. Food expenditure here is approximately Rs. 1500/- for two. By Flight, the most convenient way to reach any destination is available to you for Udaipur. Direct connectivity from Delhi to Udaipur is there, that costs us approximately Rs. 2000/- per person one way and even less depending upon the day and time you select. It will take approximately 1.5 hours to reach Udaipur by flight. Local Taxi services from Udaipur Airport are also available to take you to your desired accommodation that charges you around 700 or 800 rupees, which is worth not the ride. I recommend go for OLA or Uber taxi from Udaipur airport that costs you around 350 rupees only. By Train is another option available to reach Udaipur costing you around 500 rupees for sleeper class (the cheapest way) and around 2600 rupees for first class AC for one way. The cost is somewhat comparable to airlines. Bedding is included in such trips. The total length of trip by train is approximately 12 to 13 hours. By Bus is another option providing you a journey of about 12 to 13 hours with approximate charges of Rs. 300 to 500 per person for one way. By Road in your own conveyance is another option that we opted for, is a journey of around 850 km. Udaipur can be reached via Jaipur. We took a halt of 2 days in Jaipur (Click here to know more about our Jaipur Journey) and then we proceeded towards Udaipur (visiting Brahma place, Pushkar in between). Spending money on Travel is never a pain. Though it was my second time visiting Udaipur but still it proved as an investment of memories for lifetime. Total Expenditure for 2 nights and 6 people – Rs: 26,000/- that is 4,500 Per Person Approximately. Overall an unforgettable and eximious experience in Udaipur made us look forward more of Rajasthan and its ethnicity. Stay tuned for our next experience of Jodhpur! !